Interview: Poet Mary Oliver, Author Of 'A Thousand Mornings' Pulitzer Prize-winning poet Mary Oliver often writes about the natural world — the animals she sees and the woods she walks in. 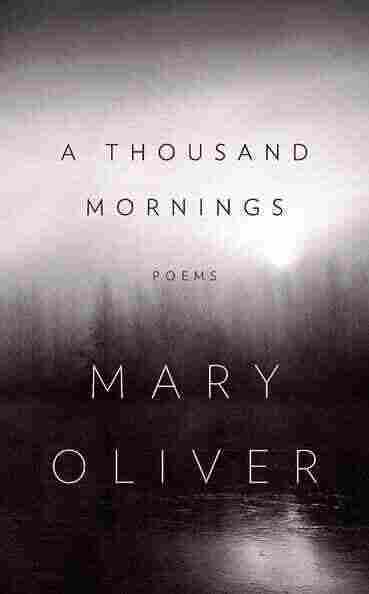 Her new book, A Thousand Mornings, collects her morning meditations as she stands by her door, notebook and pen in hand. Mary Oliver is a Pulitzer Prize-winning poet whose body of work is largely filled with imagery of the natural world — cats, opossums crossing the street, sunflowers and black oaks in the sunshine. Her most recent collection is entitled A Thousand Mornings. In one poem, "I Happen to Be Standing," Oliver describes herself as witnessing all these things as she stands by her door every morning, notebook and pen in hand. But, she tells NPR's Rachel Martin, she doesn't actually do that every morning. "Almost. I thought, gee, I do lie a little bit, and I should have said, 'which is the way I begin most mornings,' " she laughs. Mornings with the notebook are part of a regular ritual for Oliver, though. "Most mornings I'm up to see the sun, and that rising of the light moves me very much, and I'm used to thinking and feeling in words, so it sort of just happens." Those morning moments are a kind of prayer for Oliver. "I think one thing is that prayer has become more useful, interesting, fruitful, and ... almost involuntary in my life," she says. "And when I talk about prayer, I mean really ... what Rumi says in that wonderful line, 'there are hundreds of ways to kneel and kiss the ground.' I'm not theological, specifically, I might pick a flower for Shiva as well as say the hundredth [psalm]." Oliver says her work has become more spiritual over the years, growing from her love of the poets who came before her and the natural world — but she feels a great sorrow over humanity's lack of care for that world. "The woods that I loved as a child are entirely gone. The woods that I loved as a young adult are gone. The woods that most recently I walked in are not gone, but they're full of bicycle trails," she says. 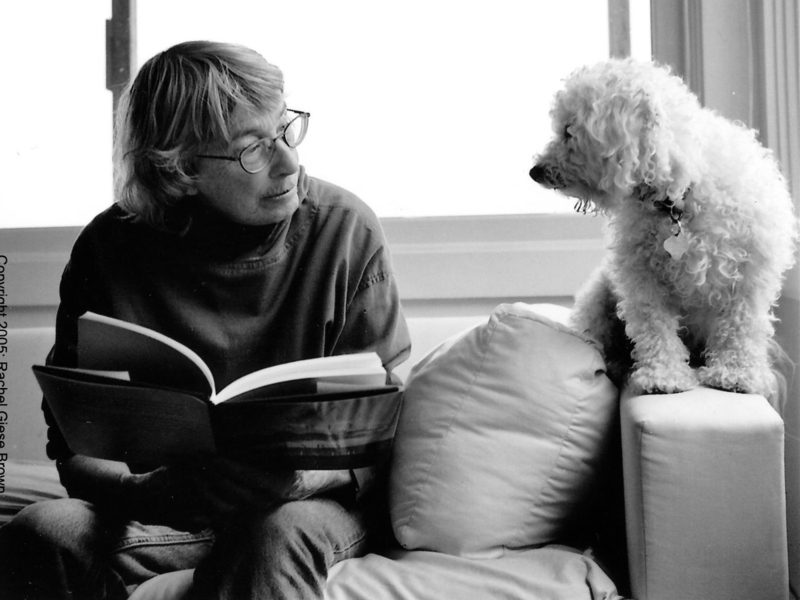 Mary Oliver has won a Pulitzer Prize and the National Book Award. "And this is happening to the world," Oliver continues, "and I think it is very very dangerous for our future generations, those of us who believe that the world is not only necessary to us in its pristine state, but it is in itself an act of some kind of spiritual thing. I said once, and I think this is true, the world did not have to be beautiful to work. But it is. What does that mean?" It can be a challenge, over years of writing about the natural world, to find new ways of describing what's out there — especially when so many other poets are writing about the same subject matter. But Oliver says she's up to the challenge. "To find a new word that is accurate and different, you have to be alert for it," she says. "But it's wonderful, it's fun." "One thing I do know is that poetry, to be understood, must be clear," Oliver adds. "It mustn't be fancy. I have the feeling that a lot of poets writing now are, they sort of tap dance through it. I always feel that whatever isn't necessary shouldn't be in a poem." From A Thousand Mornings by Mary Oliver. Copyright 2012 by Mary Oliver. Excerpted with permission of Penguin Group.